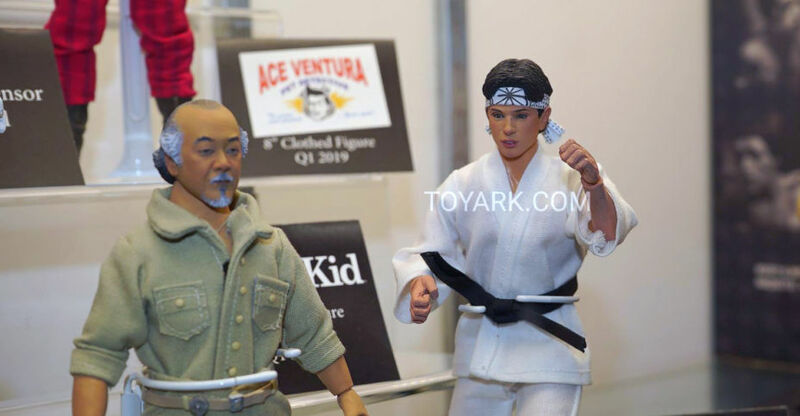 Over the weekend, NECA shared a couple of new preview photos, showcasing new in-progress looks at their upcoming The Karate Kid 8″ Scale Clothed Figures. 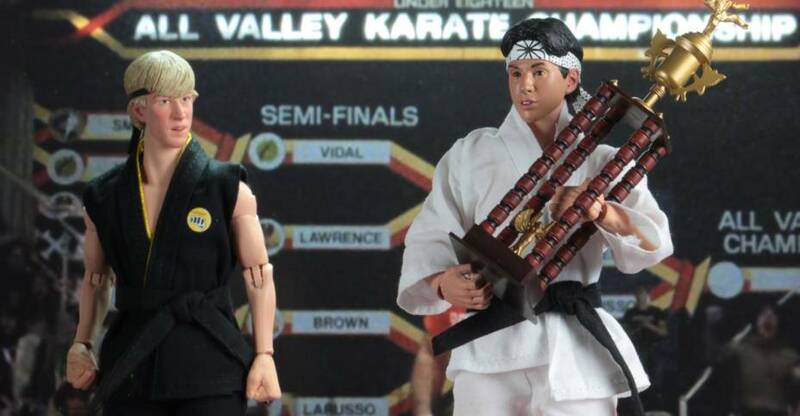 In the first photo, we see the Daniel LaRusso and Johnny Lawrence 2-Pack, which includes the tournament trophy. It looks to also include a fighting mat, and a poster for the All-Valley Karate Championships. 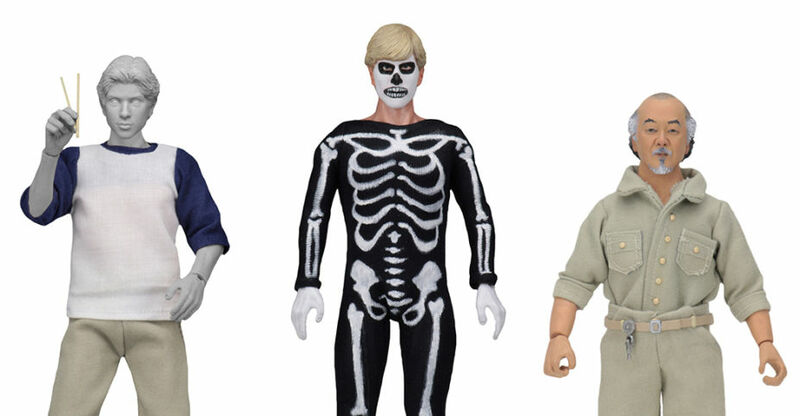 The second photo, we get a new look at Johnny Lawrence in his skeleton Halloween costume, which will include a walkman and headphones. The figures are scheduled for release in the second quarter. Click the head line of the story for the new photos. 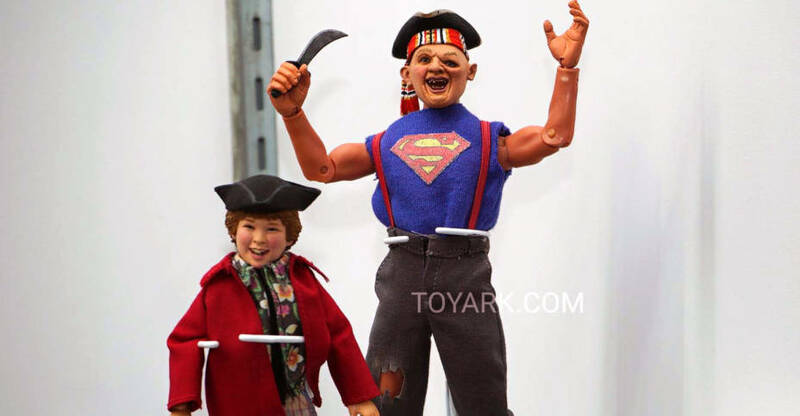 At San Diego Comic-Con 2018, NECA revealed their all new Karate Kid 8″ Scale Mego Style figures. They have released official photos of the first three releases. 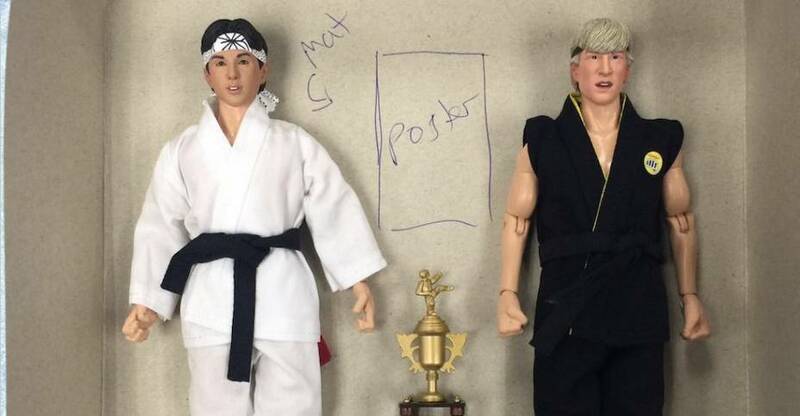 The figures include Daniel LaRusso, Mr. Miyagi and Johnny Lawrence in his Halloween costume. these are due for release in the first quarter of 2019.